Shop online for 18 auriga hobby books at discounts up to 20%. 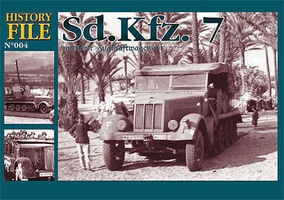 This is the History File 4 - SdKfz 7 Mittlerer Zugkraftwagen 8t by Auriga Publishing. This is the Static Model Manual 9 - Figurevolution Building & Painting by Auriga Publishing. This is the Static Model Manual 7 - Painting Models by Auriga Publishing. This is the Advanced Techniques 4 - Short Sunderland Mk III A by Auriga Publishing. This is the Advanced Techniques 3 - Painting & Weathering Military Vehicles by Auriga Publishing. This is the Static Model Manual 4 - Building Tips by Auriga Publishing. This is the Static Model Manual 9 - Extreme Weathering Building & Painting by Auriga Publishing. This is the Static Model Manual 6 - Painting Models by Auriga Publishing. This is the History File 3- Panzer IV PzKpfw Short Barrel Versions by Auriga Publishing. This is the Photo File Large 2 - Light Tank L3-33/35/38 & L6/Semovente L40 by Auriga Publishing. This is the Static Model Manual 8 - WWII Bombers Building & Painting by Auriga Publishing. This is the Advanced Techniques 6 - Painting & Weathering Military Vehicles by Auriga Publishing. This is the Advanced Techniques 5 - Painting & Weathering Military Vehicles by Auriga Publishing.